The WRT120N is another great product from Linksys – a popular and well-known name in networking space. 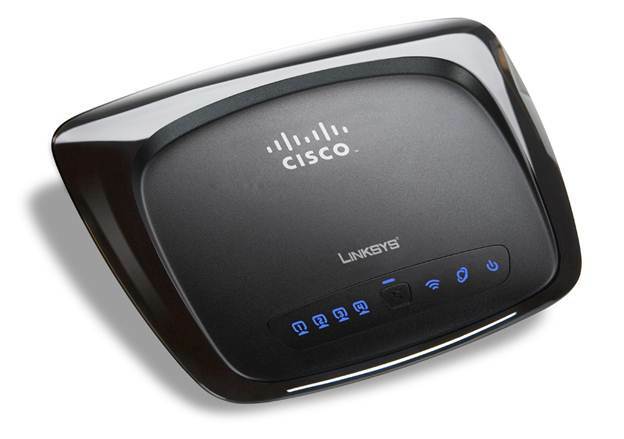 This model supports the latest high speed wireless N technology and comes with all the traditional features of a Linksys router making it a great pick for any home or home office solution. This model is designed more for a home or small office/ Home Office (SOHO) setup with very few wired network devices and many wireless devices. Speed: As a residential and/or SOHO router, the WRT120N offers two kinds of connections for devices. It has four Fast Ethernet ports and supports 100Mbps per port. These are ideal for connecting servers, computers and printers. On the wireless interface it can support 802.11b, 802.11g and draft 802.11n technologies. While 802.11b/g support rates of 11Mbps and 54Mbps rates, the draft 802.11n boosts the speed up to 300Mbps giving a superior wireless network perforce. Security: This router supports a host of personal and enterprise security features. Depending on its usage, it can be configured in six different settings. The most basic security available on this model is the WEP (Wired Equivalent Privacy). The model also supports the more popular and more secure WPA (Wi-Fi Protected Access). There are four flavors of this security feature: WPA Personal, WPA Enterprise, WPA2 Personal and WPA2 Enterprise. As the name suggests, these flavors have been tailored for usage in home and enterprise settings. Lastly, the router also supports RADIUS which is a remote authentication solution typically used in enterprise setup. The default security mode for this router is disabled, hence it is important to choose one of the security modes during the initial setup to secure the wireless network. Besides these security features, this router also comes with built-in firewall. Using firewall one can filter all kinds of web content to protect the local network. The Linksys firewall solution allows the blocking of various kinds of Internet traffic and websites. Linksys is a very popular brand with a strong distribution network. Almost all local electronics store would sell these products. The router can also be purchased online. Some of the popular online retailers in N. America selling this router include Amazon.com, BestBuy, Wal-Mart, Office Depot, Staples, etc. It typically costs anywhere between $25 and $40. 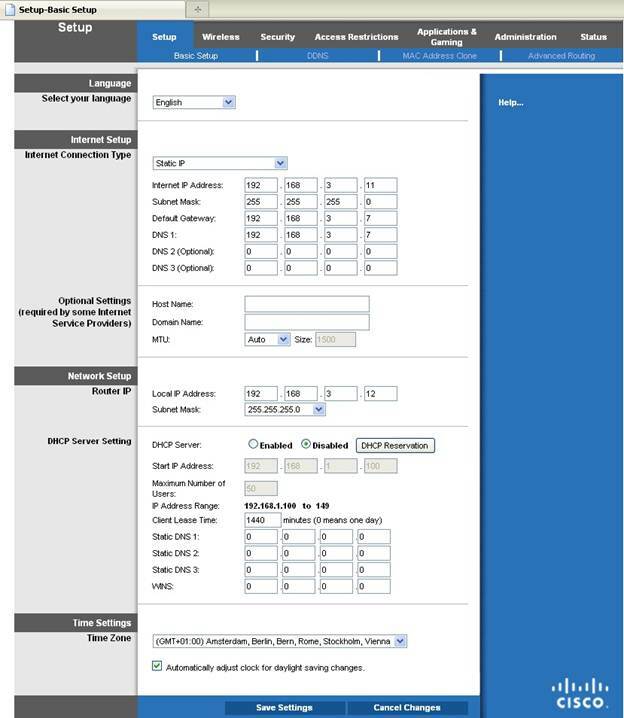 The wireless router configuration setup manager can be accessed from the computer browser. Follow the steps given below to setup the router for configuration. Connect the router to the broadband modem. Ensure that the Yellow Internet port on the router is connected to the broadband modem. Connect the computer to the router using any of the four LAN (Blue) ports. Login screen is displayed. Leave the User Name as blank and password as admin. The setup screen is displayed. The router can be configured from this screen. There are multiple configuration options for the router network, wireless network and other administration related features. To configure the wireless network, click on the Wireless tab on the setup screen. Follow the steps given below to setup your network. Select the appropriate Network mode depending on the types of devices connecting to the network. For additional security, if network name need not be broadcasted, set the SSID Broadcast to Disabled.